Update (6/5): T-Mobile’s @askdes has confirmed that Android 7.0 Nougat for the Galaxy S6 and S6 Edge has been approved. 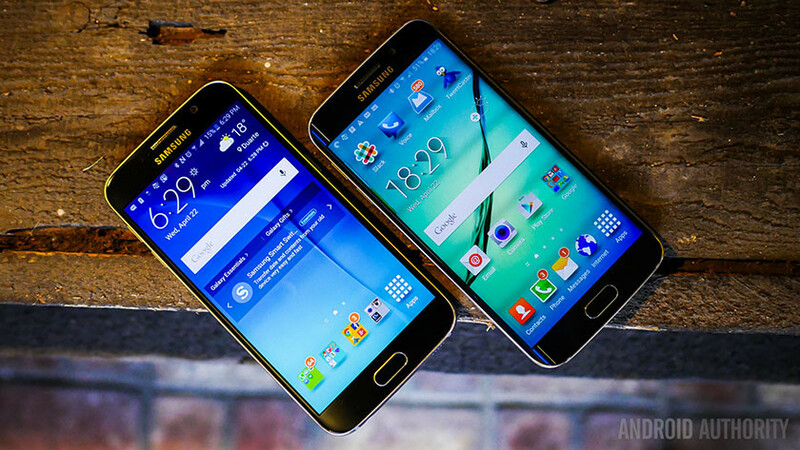 The big update should start rolling out to T-Mobile-branded S6 and S6 Edge handsets within the week. Welcome to the Samsung Galaxy S6 Android update tracker page. This article covers updates for both the Galaxy S6 and Galaxy S6 Edge on the four big U.S. carriers as well as the unlocked international version. We’ve got a quick reference table of available versions and a detailed log of updates for all S6 models. This page will be regularly updated with the latest Galaxy S6 update information, so feel free to bookmark it and revisit regularly for all your Galaxy S6 and Galaxy S6 Edge update news. Galaxy S6 Android update: U.S.
April 24, 2017, Verizon became the second manufacturer to roll out Nougat to the S6/S6 Edge. August 17, 2016, Verizon pushed an update for the S6 and S6 Edge fixing various problems with Wi-Fi and HD Voice calling. May 24, 2016, Verizon pushed an update that removed bloatware and added a RAM manager. April 1, 2016, Verizon rolled out Android 6.0.1 Marshmallow for the S6 and S6 Edge. August 13, 2015, Verizon released Android 5.1.1 for the Galaxy S6 and S6 Edge. Number of days it took Verizon to update to Nougat, 246; Marshmallow: 179; to Android 5.1.1: 98. May 3, 2017, AT&T rolls out Nougat to the S6 and S6 Edge. May 17, 2016, The Android 6.0.1 update went out to the Galaxy S6 and S6 Edge on Sprint. September 25, 2015, AT&T rolled out Android 5.1.1 for the S6 Edge and Galaxy S6. Number of days it took AT&T to update to Nougat: 255; Marshmallow: 225; to Android 5.1.1: 141. June 6, 2017, T-Mobile’s Galaxy S6 and S6 Edge will receive Android Nougat within the week. August 26, 2016, The T-Mobile Galaxy S6, S6 Edge and S6 Edge+ are all confirmed to receive Android 7.0 Nougat. June 28, 2016, T-Mobile rolled out an anti-theft update with bug fixes and the June security patch. April 11, 2016, The T-Mobile Galaxy S6/S6 Edge update to Android 6.0.1 arrived. June 15, 2015, The Android 5.1.1 update dropped for the T-Mobile S6 and S6 Edge. Number of days it took T-Mobile to update to Marshmallow: 189; to Android 5.1.1: 39. April 12, 2017, Sprint becomes the first US carrier to update the Galaxy S6/S6 Edge to Android Nougat. March 10, 2016, The Sprint Galaxy S6/S6 Edge got the 6.0.1 Marshmallow update. June 30, 2015, Sprint updated the S6 and S6 Edge to Android 5.1.1 Lollipop. Number of days it took Sprint to update to Nougat 234; to Marshmallow: 157; to Android 5.1.1: 54. First carrier to roll out Nougat for the Galaxy S6/S6 Edge: Sprint (234 days). First carrier to roll out Marshmallow for the Galaxy S6/S6 Edge: Sprint (157 days). First carrier to roll out Android 5.1.1 for the Galaxy S6/S6 Edge: T-Mobile (39 days). March 9, 2017, After delays, the S6/S6 Edge Nougat update rolled out in Europe to unlocked devices in the UK, Germany, Switzerland, and Italy. August 10, 2016, The unlocked S6 Edge received a patch for a “critical security vulnerability”. March 18, 2016, Indian owners of the S6/S6 Edge got the Android 6.0.1 update. February 10, 2016, The S6/S6 Edge in Poland were the first international customers on Marshmallow. January 30, The very first Samsung device to get updated to Marshmallow was the South Korean Galaxy S6. June 22, 2015, Android 5.1.1 started appearing on international unlocked versions of the Galaxy S6 and S6 Edge.